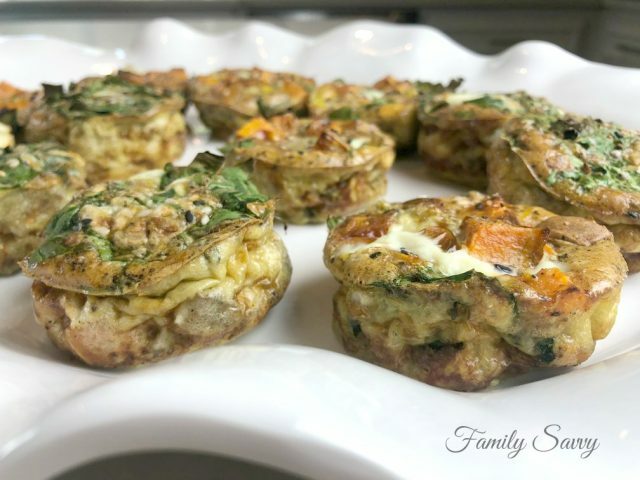 If you follow Faster Way to Fat Loss, Whole 30 or Paleo, these easy, make ahead and yummy healthy turkey breakfast cups are the perfect whole food fuel your body craves. An adorable and dear college friend borrowed my kitchen recently to make these turkey sausage & sweet potato breakfast cups. She is a super healthy eater, so she made these to take back to her dorm to freeze and pull out as needed for healthy breakfast on the go. 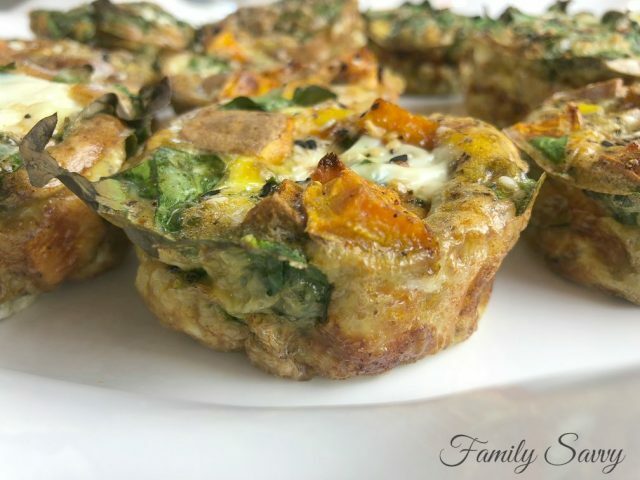 Why do you need to make these healthy turkey breakfast cups? I am glad you asked!!!! For those of us who are busy but want (and need) a healthy fuel for the day, this recipe is one of the best I’ve found. Here are some reasons this recipe is so fab. These healthy turkey breakfast cups are EASY, MAKE AHEAD, and FREEZER FRIENDLY. These breakfast cups are made with whole foods and are Whole 30 compliant. These breakfast cups are hearty and filling, thus reducing cravings for many. These breakfast cups are great for those following Paleo and Faster Way to Fat Loss (low carb) lifestyles. Turkey sausage: Maddy was a brand snob about turkey sausage until she found one at Aldi and loved it. She discusses it in the video below. Either way, the sausage used for this recipe is the breakfast style turkey sausage in a roll~not link sausage that you slice. Sweet potatoes: Roasting the sweet potatoes is easy; it can be done a day or two ahead as well. I often roast a big batch of sweet potatoes and keep them in the fridge to use for several days. Milk Options: Maddy used almond milk for these, but you can use any that you prefer. For those of us who love dairy, cow’s milk is fine (and what I prefer). Spinach or Kale: To get a healthy dose of fresh greens in these breakfast cups, spinach or kale work well. Maddy and I prefer spinach for its tender leaf. If using kale, stems should be removed. Fresh peppers: The small bags of mini peppers that are found in produce are perfect for this recipe. They have all the colors and are so tender and easy to prep. I love them so much better than large peppers. Make ahead & freezer friendly: These can be made ahead and frozen. For each breakfast cup, simply take it out of the ziplock bag (frozen), put it on a plate, and microwave it for 6 minutes on 50% power. It will be perfect. If you try these, please leave a comment and let us all know how they turn out! As always, thanks so much for stopping by. Be blessed, and stay savvy!!! Preheat oven to 400F with rack on lower middle position. Lightly grease a 9Ã—13 baking dish (or jumbo muffin tin); set aside. On a large baking sheet, combine sweet potatoes with 2 TB olive oil; sprinkle with kosher salt & ground pepper. Bake for 20 minutes until fork tender. Meanwhile, heat remaining 2 TB olive oil on a large skillet over medium high heat. Add onions and garlic; sautÃ© 2-3 minutes or until onions are translucent. Add peppers and sautÃ© 1-2 minutes or until tender. Pour pepper/onion mixture into a large bowl. In skillet, cook turkey, breaking up and stirring until fully browned and cooked completely. Drain turkey and add to bowl with veggie mixture. Add roasted sweet potatoes, chopped kale, 1 tsp kosher salt, and 1 tsp freshly ground black pepper to the mixture in bowl. Gently toss to combine. Spread entire mixture into a baking dish or spoon into jumbo muffin tins. In a medium bowl, gently whisk together the eggs and 1/2 cup of non-dairy milk until well combined. Pour evenly over the sausage/potato mixture. Bake uncovered about 25-30 minutes or just until eggs are set in center.